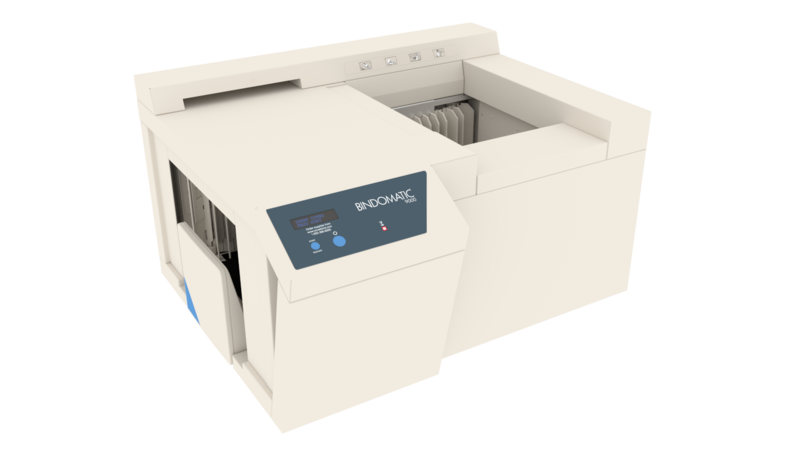 The introduction of Bindomatic® 9000 sets a completely new market standard for document thermal-glue binding! The capacity to process and bind a document every two seconds is astonishing, but what truly sets it apart from all others is it’s superior work flow efficiency. 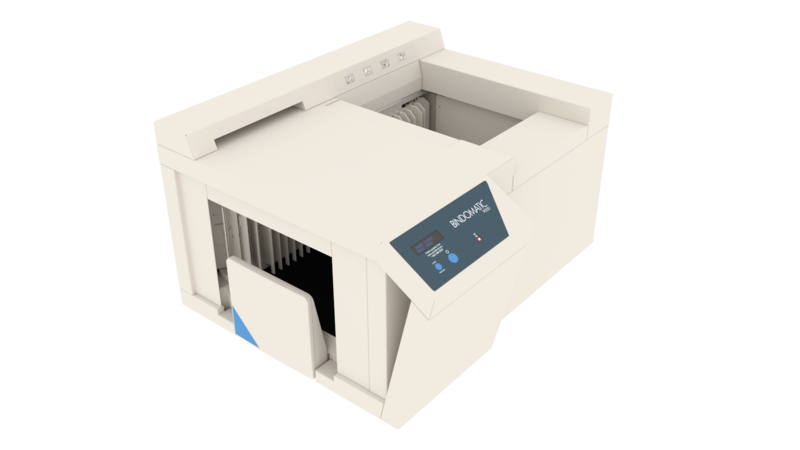 Up to 60 documents can be loaded into the machine at one time, freeing you up to work in parallel while simultaneously binding your documents. 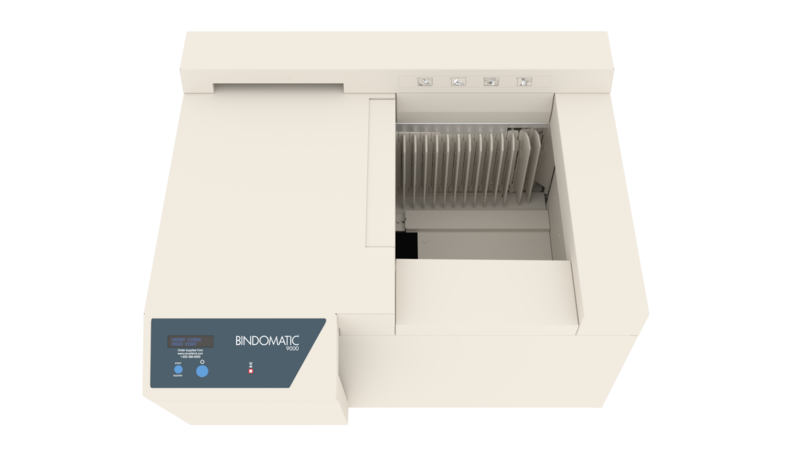 Thanks to its intuitive simplicity, ease of use and unrivaled binding speed, the new Bindomatic® 9000 is the ideal binding solution for volume-demanding print room environments as well as office/corporate walk-up print stations. From 1 to 150 sheets of 80 gsm paper.